Slim fit. 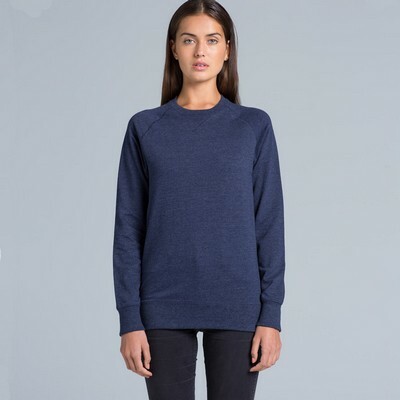 Crew sweat, raglan sleeves. Lightweight, 260 GSM. 75% cotton 25% polyester (non-marles 100% cotton) anti-pill French Terry fleece. Yoke insert for back printing, neck and sleeve cuff ribbing, rib insert and stitching detail at front, preshrunk to minimise shrinkage.